With the advent of IP services coming of age, many alarm companies see video monitoring as the wave of the future, since this allows them to cater to increasingly sophisticated consumers using smart phones and associated devices. These services are being sold to cater to customer demand; however, they come with sometimes significant increases in monthly rates for consumers. There are simpler and MUCH lower cost solutions for customers unwilling to pay these atrocious monthly service rates, but wishing to avail themselves of video surveillance to complement their home alarm systems. For those looking for these low cost alternatives to high priced, commercial grade, professionally installed surveillance systems for their homes, there are now available a variety of low cost IP cameras on the market. 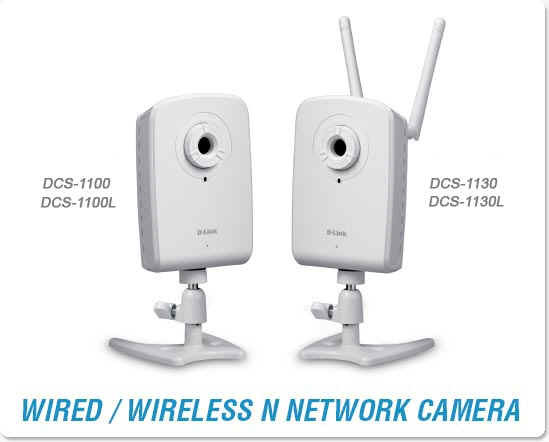 These cameras function as web servers on a home network coupled to a high speed internet service, and can be accessed remotely and securely from anywhere in the world where there is high speed internet access. Some products even allow access without the cumbersome and complicated need to "port forward" on your router, plus the requirement to forward your constantly changing dynamic IP address, using such services as "www.dnydns.com"
A word of caution ! These output colour images at 640 X 480 at best, and they don't have the low light capabilities of a professional grade camera, but for simple monitoring of your home, they work well. However, don't expect them to accurately depict faces or license plate numbers at great distances for use by police. Most are useful simply as a low cost addition to the rest of your home security. Most IP cameras can be set up to allow motion detection triggering for hard drive recording of events, ensuring you don't have to wade through hours of endless nothing to find "events". This camera is reasonable in price, varying from $130 to $150, based on my shopping, with another model (930 and 932L) available for lower than $100. Setup is simple with a CD based wizard for both hardwired access through an RJ45 Ethernet cable, or wirelessly. On the above models, there is no zoom and focus is manual, but it is easy to set up by configuring the camera directly on your network at the camera's LAN address. The 932L also works with infrared in low and no light conditions. I offer this advice in the spirit of all the advice offered on this website - to assist homeowners in securing their properties against break and enter at reasonable cost. Cameras make a useful addition to a professional alarm system but should never be substituted for one. In addition, I hope that clients can avoid the high pressure hype of cable companies and the like offering these services for as much as $55 monthly, when knowledgeable consumers can do so with NO increase in monthly rate, AND at the same time, not have to purchase the new lines of substandard, fully wireless alarm equipment. Do your own shopping and make your own choices. The above is simply my personal choice for my situation. These are definately low end cameras designed primarily for more casual usage. The image sent in many cases lacked clear definition and low light capability. They were also seriously blanked out when faced with situation of both high and low contrast. But if your application is to simply verify an alarm condition, or make yourself comfortable that no one is in the home, or perhaps that someone is shovelling your driveway as contracted for, these are superb. These devices are useful for casual usage but should never be depended upon for real security situation where property loss of personal safety is involved. But they are superb for a number of uses including verifying an alarm at your home. I will continue to test higher end, professional cameras and dvr devices available to me from my alarm wholesalers and will report on these as I trial them. I fully expect them to be far superior to such low end cameras; however, they will have a price tag to match and as such may not be suitable for more casual residential usage.